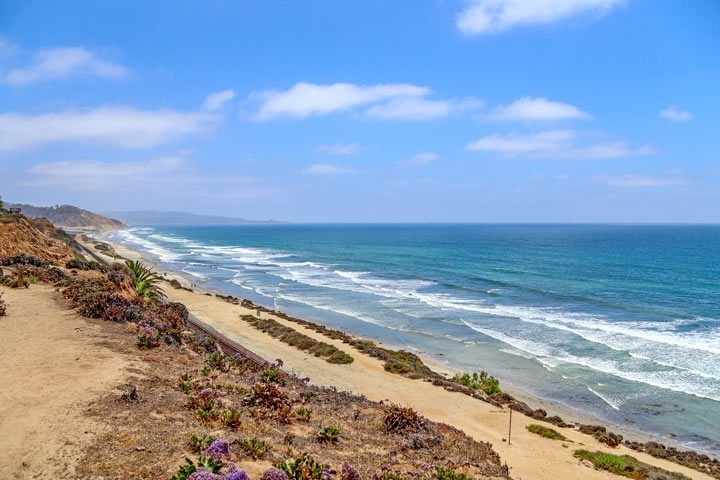 Marine View Homes are located in the coastal community of Del Mar, California. The Marine View community is located on the east side of the 5 freeway on the very south end of town near the Flower Hill shopping district. The homes in this area are predominatley single family homes that often have great views of the ocean. Marine View Avenue and Highland Dr are two of the big streets in this area where you will find homes for sale. The community is not under any homeowners association as all homes have been custom built. The location is situated next to the Spindrift condo community that is well known for having spectular ocean view town homes. From this location it's an easy drive to the Del Mar race track and about 10 minutes to the beach. Below are all of the current available Marine View Homes for sale and for lease in Del Mar. Questions regarding this community and any of the homes listed here? Please contact us at 888-990-7111 today.